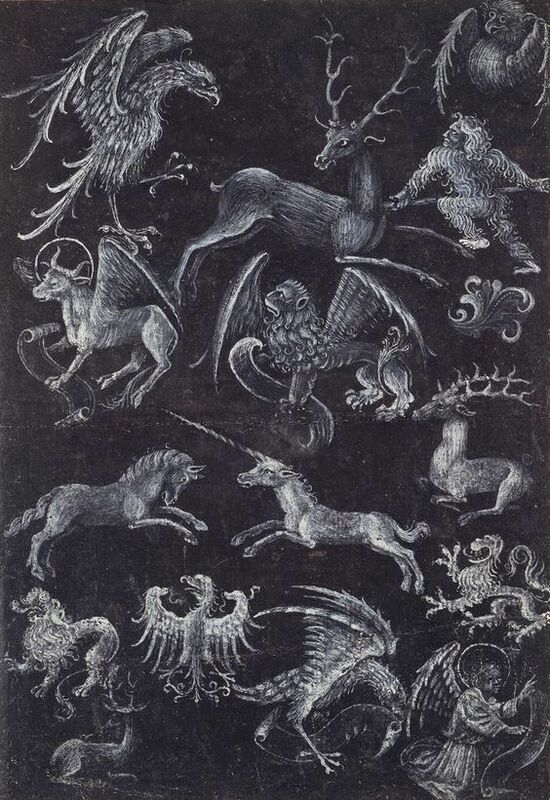 Meister E. S., “Musterblatt”, drawing of animals, angels, wild man and a unicorn, 1430 - 1440. Brush in white on black handmade paper. Sheet probably made for a goldsmith / enamel works.